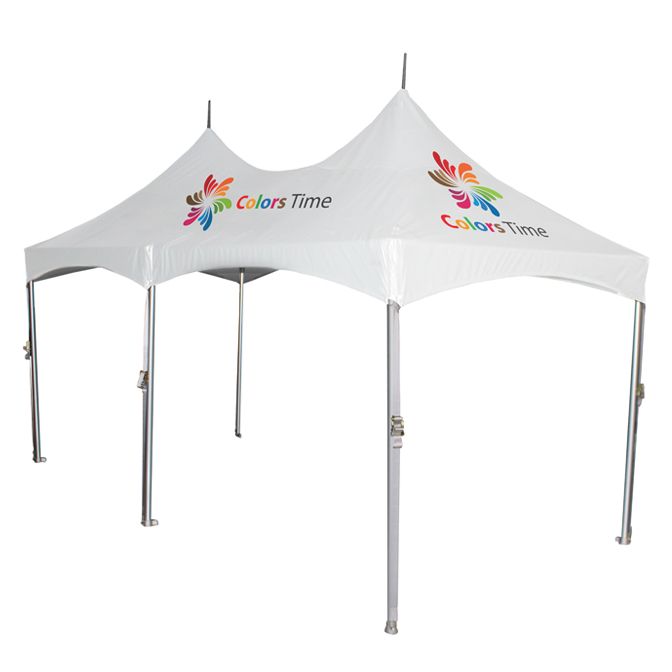 A completely clear interior space that still exhibits the flying peaks of a classic pole-supported tent, the Pinnacle Series is an easy-to-assemble frame tent with a larger area of fabric visibility thanks to the center mast support. Pinnacle Series Frame Tent utilize a cross-cable connection system that lets you install tents with minimal extraneous hardware. Once the perimeter is assembled, cables linking opposite corners are installed that pull the corner fittings together and tension the whole of the assembled tubing. Follow this link to watch step-by-step instructional setup videos. 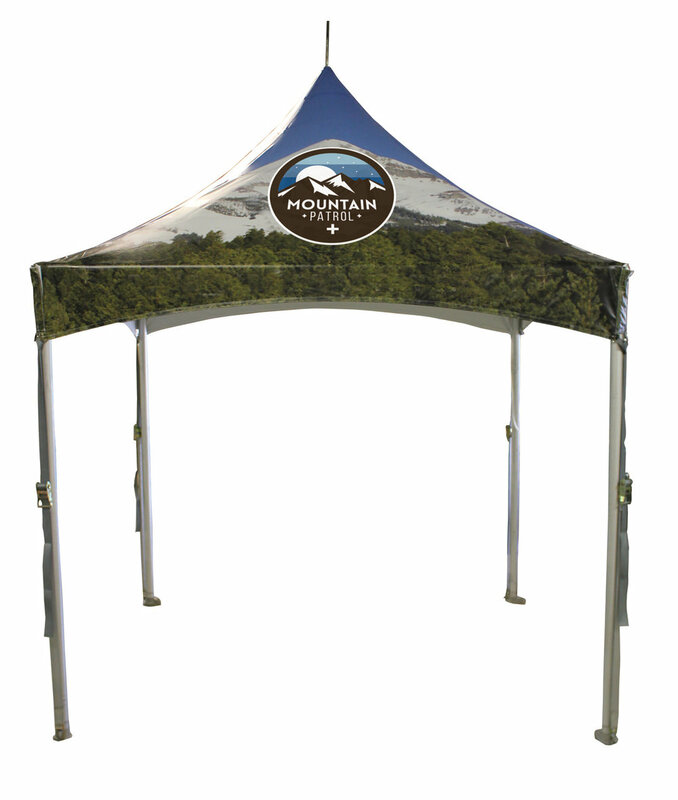 Custom prints on Pinnacle Series tents are great for advertising due to the high central peak. The lifted center is great for large logo or design elements, with additional space on the valance for continued theme designs or contact information. Design templates for laying out your own artwork are available here. For added stability and ease of installation, ratchet straps connect the top to the frame and the entire tent to the stakes or anchors. High-peaked designs allow printed fabrics to shine by increasing the angle of the fabric and displaying the main design area more prominently. The central peak’s mast is installed on the cross cables, allowing for completely unobstructed space under the tent top.